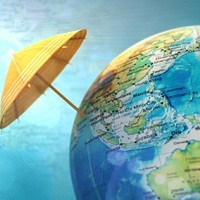 Travelscapes will help you insure your travel and enjoy your journeys without any interruption. If you want to be prepared to take care of the loss incurred due to various unannounced events that might interrupt your journeys, then you must insure your travel with us. We cannot prevent events like earthquakes, floods, cyclones, etc., but we can insure our tours and thus take care of their consequences if the need arises. Thus, travel insurance is extremely vital for uninterrupted trips. We will connect you to the best insurance agents in the city, helping you to get an appropriate insurance scheme. Our services are affordable. As a travel and tour agency, we have our base in Thane, Maharashtra (India) and we operate throughout North East, Rajasthan, Kerala, Himachal, Gujarat, Kutch, Madhya Pradesh, and Andaman and Nicobar Island.